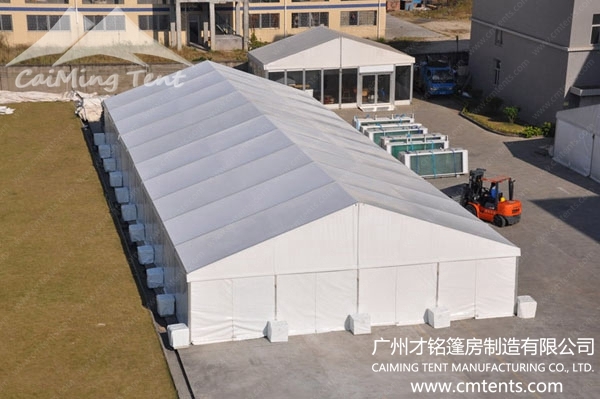 We custom design any size or shape tent Frame Tents is world market leaders in the manufacture and design of Frame Tents, Aluminum Tents, Storage Tents and Warehouse Tents. We guarantee best prices, superior quality and excellent services. Frame Tents are available in Widths of 3m-60m, 5m bays and eave heights from 3m-6.2m in structures of unlimited length. This innovative Structure system is the ideal solution for Warehouses, Storage Facilities, Exhibitions, Conferences and Events. 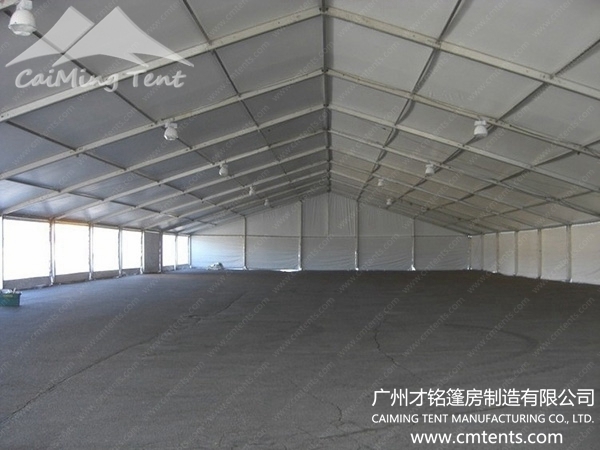 Frame Tents have no center poles and are suitable for erection on almost any type of surface. The absence of center poles creates an open and airy feel with unobstructed views and allows for maximum use of the interior space. Clear span Frame Tents creates a unique surrounding for high profile events. The ultimate in design flexibility, Frame Tents provide a well secured environment for short and long term installations. Frame Tents are versatile and highly durable which provides the user with both quick installation and dismantling times. We are committed to manufacturing exceptional quality tents at the most competitive prices. Our low prices do not mean that we compromise on quality, all tents are manufactured to the highest standard. Our specialized tent sales team is here to help you make the right decisions when buying your tents our experts are ready to answer any questions. With indefinite variation of shapes and sizes possible, we can customize your tent to your requirement. 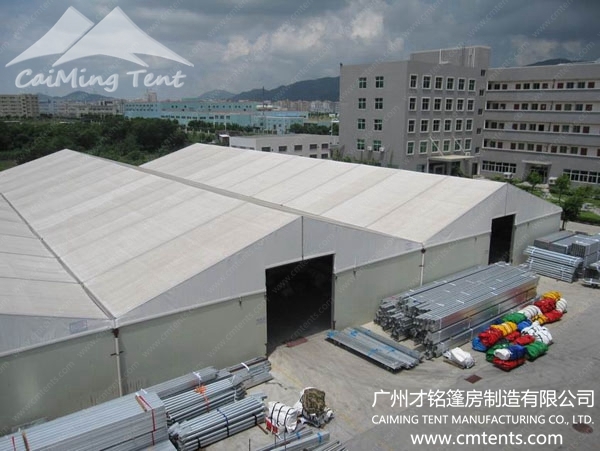 AFrame Tents are manufacture & supplier of Warehouse Tents, Frame Tents, aluminium tents. It is used for Warehouse, Party, Wedding, Event, Exhibition and Function. 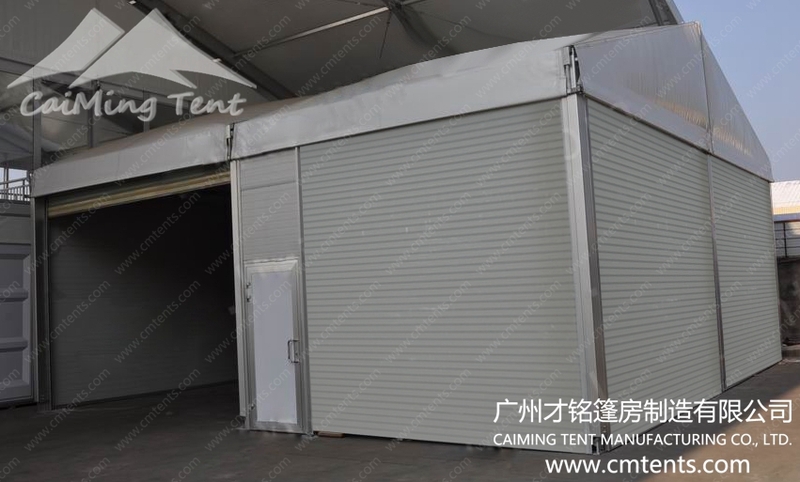 These Aluminium tents and Frame Tents are also called as Warehouse Tents, Storage Tents, Party Tents, Wedding Tents, Event Tents and Function Tents. Packaging Details : 1)solid carton boxes. 2) pearl film or clear film. 3) PVC carry bags. CaiMing Tent supplies tents and marquees for all events and occasions. Ideal for all kinds of sports events, governmental events, political events, corporate events, promotional/commercial events, products launches, big celebration events, ceremony, festival, and so on. We provide a turnkey creative and innovative solution. The sizes can be available from several people’s event to thousands of people’s one. 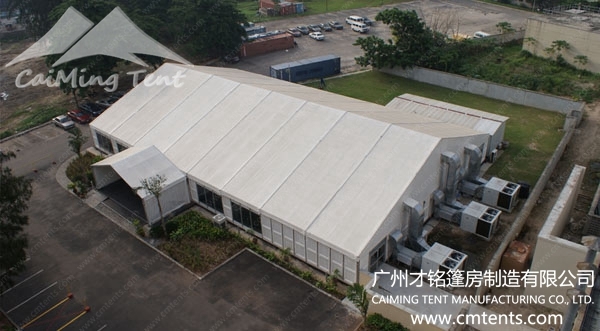 CaiMing Tent always has a solution for an unforgettable event. Our range of event tents is very comprehensive and our tent structures are safe, aesthetic and surprising. wind load: 80~100km/h ( 0.3~0.5KN/SQM ). Over 15-year experience in tent field for our Engineers, we are professional and you save worry and save trouble. 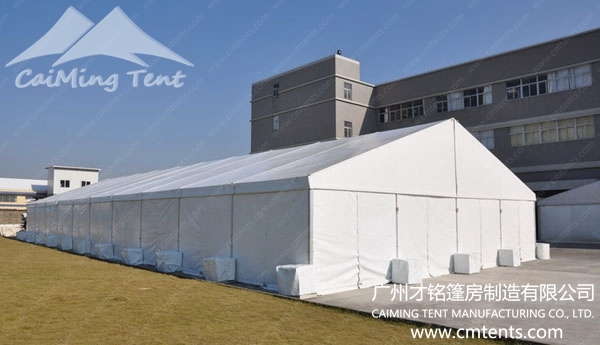 All CaiMing Tents are engineered to reduce operation and managing expenses, with superior energy efficiency, let you spend every penny worth. Other Optional Items:table, chair, lighting, AC, carpet, installation tools etc. Glass walls, glass doors, ABS walls packed in transportation racks.